At last! The book that all maths and physics students have been waiting for. 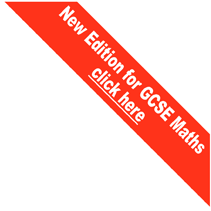 Perfect for anyone studying or teaching maths, physics, accountancy, economics, engineering or the sciences, from A levels right through to postgraduate. “What James Smith and Phil Chambers offer their readers here is a thoroughly researched and simple system, which combines mnemonics and mind mapping in a unique and interesting way. As well as covering just about every mathematical equation you can think of, James and Phil offer solutions for the English, Greek and Roman alphabets and all with a splash of humour and encouraging examples to get you started. 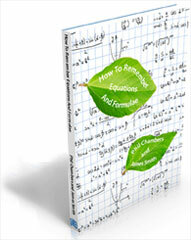 Or click here to view a sample chapter from the book and to get a taste of how easy remembering equations and formulae could be. 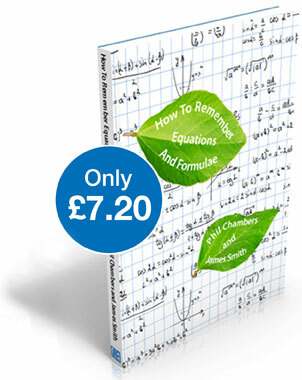 click here to view a sample chapter from the book and to get a taste of how easy remembering equations and formulae could be. Phil is the reigning World Mind Mapping Champion, Chief Arbiter of the World Memory Sports Council, a Registered Accelerated Learning Trainer and NLP Practitioner. He is author and co-author of several books on memory and learning techniques, including The Student Survival Guide, A Mind to do Business, 101 Top Tips for Better Mind Maps and Brilliant Speed Reading. With his business Learning Technologies, Phil travels the world as a professional trainer and coaching consultant on learning and memory techniques. James' first book on memory improvement was Memory Palace Definitive (February 2012) and he contributed the article Memory Made Easy: How to Quickly Recall what you Study to both the Pat Wyman-edited Amazing Grades (The Center for New Discoveries In Learning, Inc.; August 2012) and MENSA UK Academics SpeciaI Interest Group Newsletter #9 (July 2012). He is currently working on a third memory improvement book for publication in 2014.